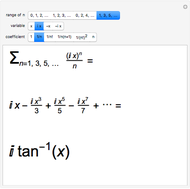 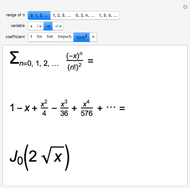 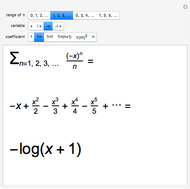 Mathematica can explicitly evaluate a large number of infinite power series. 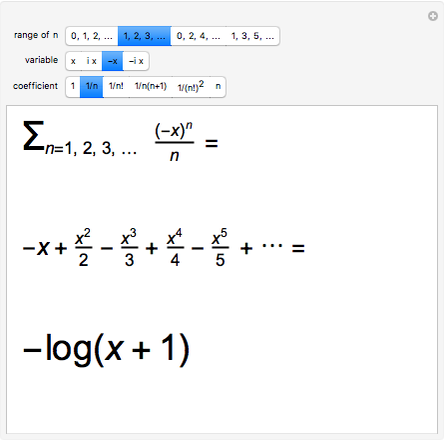 This Demonstration gives some elementary examples with simple coefficients that sum to exponential, trigonometric, hyperbolic, and logarithmic functions. 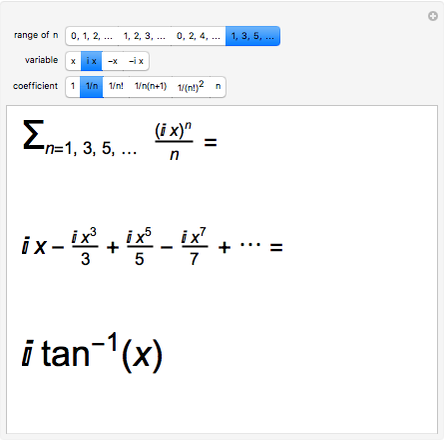 Not included are hypergeometric functions, binomial expansions, inverse trigonometric functions, or Dirichlet series such as the Riemann zeta function. S. M. Blinder "Infinite Series Explorer"